Oh yes, so I just had to share another photo with you. I enjoyed it so much, it brought memories back to me of my first pedal car as a kid. I was excited then, just as I was on Saturday. The only difference this time is that, my metal pedal car looked like my Mustang when I finished with it, but the Mustang will look like the pedal car when I got it; All nice and shiny, like new and ready to hit the road. Not that I was on the road at that age, if you get where I’m coming from that is. As promised, the car turning wheels with me in it for the very first time. 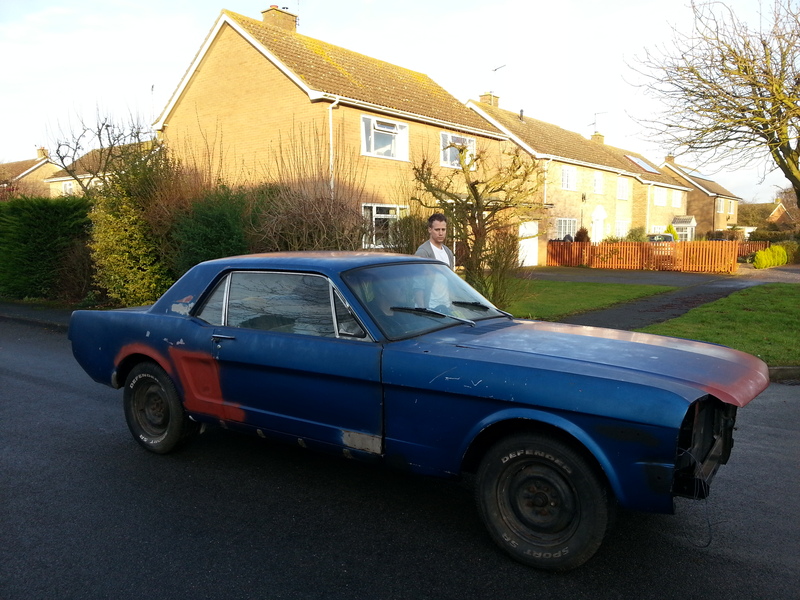 This entry was posted in Car and tagged excited, first time, frame, garage, grin, Mustang, pedal, seat, smile, upholstery, wheels. Bookmark the permalink.